The Studio Lighting Kit for Modo will enable you to add realistic studio lights to your scenes quickly and efficiently. Beautiful reflections in your renders in seconds. The Post-Processing Pack will allow you to achieve photographic effects with the click of a button. Speed up your workflow and create stunning images with this set of Macros and Actions for Affinity and Photoshop. VizPack: Products is a collection of over 160 materials providing a range of detailed and physically accurate shaders. Available for Modo and for both Vray and Octane as third-party render engines in Modo. The Instant Lighting Kit for Modo is designed to help you create beautiful renders in the shortest possible time, allowing you to light your scenes quickly and to get professional lighting results at the click of a button. VizPak: Architecture is a collection of over 90 materials providing a range of detailed and physically accurate shaders to cover many different needs. Available for Modo and for both Vray and Octane as third-party render engines in Modo. 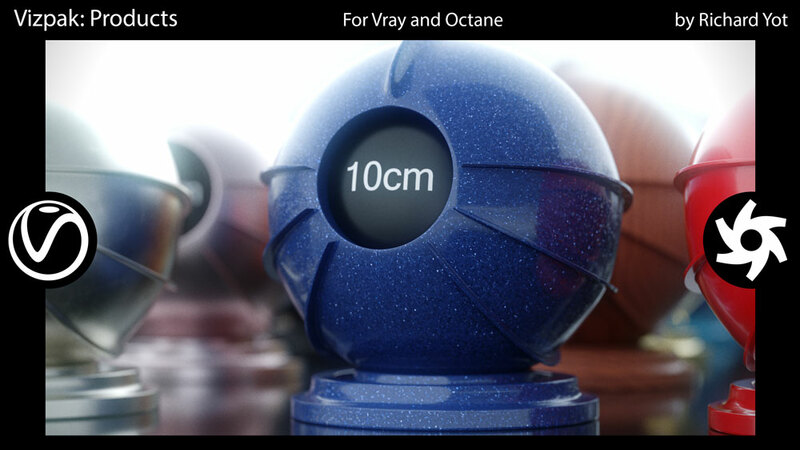 Uberball Version 2 is a complete shading and texturing studio that offers a comprehensive and flexible environment to allow you to create the best shaders possible, and do so in a manner that will translate seamlessly to your production scenes.